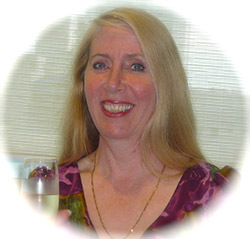 Today I’m excited to welcome Susanne Bellamy, Australian contemporary romance author. Welcome to my blog, Susanne. Can you please tell us a little about yourself? And one I’d love to hear someday 🙂 Do you have a passion other than writing? Musicals and all that goes with them have been a life-long passion. My love for dance in its many forms began at the age of four. For the next thirteen years until I went to uni, I pirouetted and arabesqued, bent and stretched my body. I darned pink ballet stockings and dabbed metho on toes sore from being en pointe. I didn’t end up becoming a proper ballerina in a company but my love of dancing led me to challenge myself to learn new skills of directing and stage choreography when I stepped into the world of school musicals. How long have you been involved in your passion? As far back as I can remember my family used to watch musicals on television. The earlier ones in black and white featured Nelson Eddy and Jeanette McDonald but big, brilliant colours and fabulous dance numbers were my favourites—‘Seven Brides for Seven Brothers’, ‘An American in Paris’, ‘Gigi’; my list is very long. My father had a great voice and my mother could make costumes like a dream. (She used to work for a top London couturier). It seems natural that I followed a similar path, albeit as a passion rather than a career. Believe me, if I had a voice, I’d have chased the dream! Wow, sounds like a talented family! What is it about musicals that brings a sparkle to your eye? Wonderful stories, conflict that seems like it will never be resolved (but it almost always is) and music that stays with me long after the final notes die away. I think musicals have much in common with romance writing in their structure, especially the ability to take me away on a magical journey for two hours. Their protagonists, as with romance novels, must deal with conflicts and obstacles on the way to attaining their HEA, and they sing (and dance) some of the finest musical numbers written while on that journey. Of course, there are bittersweet moments for major and secondary characters too. Maria loses her love in the 1960’s New York set Romeo and Juliet tale, ‘West Side Story’. Often, though, it is the poor secondary characters who fail or fall along the way; Tuptim in ‘The King and I’, Liat in ‘South Pacific’. Their failure to hold onto love or their lover creates a poignant contrast to the main love story. Do you have a funny story about something that’s happened to you while involved in your passion? On the final night of our production of ‘The King and I’, we set the stage for the big death scene. Wives and children filled the stage and the atmosphere was poignant as the king’s big finale approached. Then the bed leg broke. However, in true show biz tradition the show must go on. Several of the young and enthusiastic backstage crew crawled underneath and held the bed up on their backs. I admire the young man who played the king of Siam for his steadfast playing of that scene while the bed beneath him rocked. He didn’t miss a beat. You have a new release out in a couple of days – would you like to tell us about it? My next release is Engaging the Enemy which releases on 1 August. Thanks for being my guest today, Susanne and good luck with Engaging the Enemy! Loved visiting your blog, Kerrie. Thanks so much for hosting me. Great interview Susanne and Kerrie! Susanne I had no idea that you did ballet when you were younger and that musicals were a big part of your life, how cool! and I loved that story you told us about the bed having to be manually held up by stage hands in the King and I musical. Susanne I’m so excited to read your new release! Finally in 2 days I can purchase it!! There were quite a lot of funny things that happened during the ‘musical’ years but having recently seen Teddy Tahu Rhodes and Lisa McCune in ‘The Kind and I’ in Brisbane, I settled on sharing that story. Thanks for visiting, Kariss! You obviously have a lot of interesting stories to tell, Susanne! and I would love to listen to them all- especially the one about how you met your husband by being locked out of your place. That sounds really intriguing! And I love the love themes in your stories! 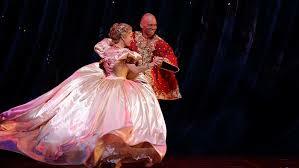 The King and I is one of my favourite musicals! I loved the old movies and stage shows like Seven Brides for Seven Brothers (wasn’t that the ultimate romance?) and Annie Get Your Gun. I am impressed by your musical and creative talent. I wish I could dance, but with two left feet the only person who I can dance with is my dad! I’m delighted that my love of music (though perhaps not musicals per se) continues with my children. Seems my husband’s Welsh heritage combined with my dad’s musical abilities in them. As for two left feet, who cares so long as you enjoy it! DID SOMEONE SAY SING? Ha! Love musicals. Love Love Love. Grew up on them. I think those that make you cry are AMAZING. The power of music. Indeed, Jenn! The power of great art, stories, paintings, and dance to move us to laughter and to tears is formidable. I love being carried away. I also love singing the songs, although never in public. But when I’m alone… ah, what a pleasure it is! Congratulations on your latest release. It sounds like another fabulous story. I loved watching the King & I. There is something os energizing and also mesmerizing about dancing. Alas, I am uncoordinated as my newest fad can certainly contest – have taken up Zumba, I love it, am hopeless at it but its fun. Thanks for another great interview Susanne & Kerrie. Enjoyment is the most important aspect of dancing, Suz; I’d love to try Zumba. Must see if there are any classes nearby. Susanne, like you I grew up on musicals. I used to love all of the Nelson Eddy and Jeanette McDonald movies. As for the show must go on, I remember when I was in “Pirates of Penzance” and my nightdress caught fire just before we went on stage. Before that happened, I was concerned that the hair of girl in front of me would catch fire! No electric candles in those days. By the time we had to relight my candle my hand was shaking… As far as dancing goes, I achieved more with belly dancing than I did with jazz, tap, or highland but the most interesting dance was when I was 5 months pregnant and dancing around as a tree in “Don Pasquale”. Good job Kerrie wasn’t there to photograph me. All the best with the sales of your new book. What hair-raising shenanigans go on behind stage! Glad you were safe. Thanks for visiting, and for your good wishes.